The GREAT BARRIER REEF , transposed to North America’s west coast, would stretch from Baja California to British Columbia. “How do you study that big of an area by doing hour-long hikes?,” says Eric Hochberg, a marine biologist at the Bermuda Institute of Ocean Sciences. Yet for a long time, scientists studying coral have essentially had to do just that. Since the 1950s, says Hochberg, the state of the art has been a mask and a scuba tank. Scientists studying coral reefs do so an hour at a time, until their air runs out. Next week, that will change. Hochberg is principal investigator of a NASA-backed experiment called, well, CORAL for the COral Reef Airborne Laboratory. 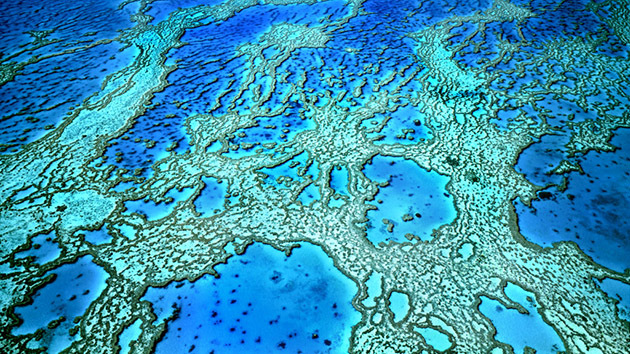 CORAL will use a state-of-the-art spectrometer to map reefs in four locations: Hawaii, Palau, the Mariana Islands, and parts of the Great Barrier Reef. (Even from the air, that thing is too big for one bite). These maps will provide a baseline comparison for future surveys. Climate change and the recent widespread coral bleaching events make such a project only more urgent. For Hochberg, CORAL has been a long time coming. He and his collaborators have been trying to raise money to look at coral from the skies since the 1990s. At the time, scientists noticed the Great Barrier Reef and other reefs might be shrinking—thanks to a host of manmade threats like climate change, pollution, and oil spills. Hochberg and his team got close to putting a camera on the International Space Station, but that project fell through. In 2015, CORAL finally got the go ahead from NASA.